The clocks have sprung forward and the flowers are ready to bloom. 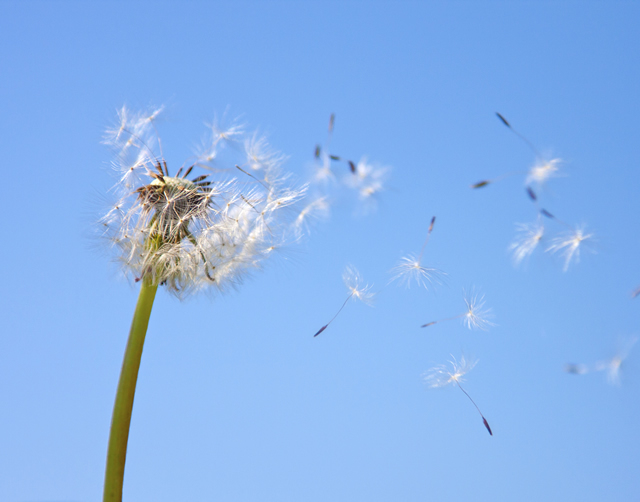 And while many will enjoy the warmer temperatures, others will be battling spring allergies. "Lots of patients come in with your typical seasonal allergy symptoms, itchy watery eyes, sneezing, runny nose, sometimes occasionally increased asthma symptoms," according to Dr. Akin, a physician at Advanced ENT and Allergy. The first thing to try is over-the-counter antihistamines and if they're not stopping the symptoms, Akin recommends a prescription medicine, including nasal sprays. If you're still suffering, allergy shots should be part of your solution. You are given things you're allergic to in small increasing doses over time, until your body becomes tolerant to those allergies. The shots are in a series and patients get them from every week to every month. "I think it is going to be tough this year, we had a very wet wintertime and I think our plants are poised for some good growth, so it is going to be hard for allergy patients," said Akin. While not everyone is vulnerable to seasonal allergies, it sometimes can be hard to distinguish between allergies and a cold. Akin says if you notice signs of a fever or your mucus is discolored, that may be a sign of a cold or bacterial infection. Allergies tend to come seasonally, so if you usually get them this time of the year, there is a good chance it’s allergies. Allergies also tend to last longer from weeks to even months, while a cold should last only a few days up to a week, but never over 14 days. Although it is near impossible to avoid all pollen, there are some things you can do to limit your exposure. First, keep the doors and windows in your home and cars shut to keep the pollen out. Take a shower and wash your hair after outdoor activities so you don't bring the pollen inside with you. Use if the Nettie pot (OTC) to flush the nose and sinuses out twice per day or PRN. (This gives your nose a shower on the inside and gets the allergens that the nose has filter out of the air.) It comes with packets to mix with water. Be sure to use sterile water, not just tap or well water. Wipe off pets when they come indoors and don't let them sleep in your bed with you and transfer any-pollen If you suffer from spring allergies, start taking medications before your symptoms begin.